This blog post was first published as an article in the August 2013 edition of True Love Magazine (East Africa Edition), now on sale. Over the past decade or so, the relentless growth of the Internet in Kenya has made it a strategic imperative for small businesses. The Internet, in all its myriad forms and in particular on mobile devices in Kenya has become a key channel that can make or break a business depending on how well you use it. The fact that Kenya has over 10 million Internet users who largely access it via mobile devices means that one has the opportunity to reach a vast customer market from the tap of a smartphone or tablet touch screen. The great thing is that many of the impediments such as high cost or slow connectivity are more or less a thing of the past as droves of new users sign-up everyday to get online. Have a business profile on social media – Kenya now has close to 3 million active users on Facebook and something in the region of 1+ million users on Twitter. As a result, as a business, having a Facebook Page is no longer an option as a good number of existing and potential customers spend their time there. I like to say that businesses should always “fish where the fish are” so this is really a no-brainer. In addition, social media sites like Linkedin are also quite popular in Kenya with over 600,000 professional profiles and therefore this offers an excellent channel for business development and customer service. Ensure your web site is mobile optimized – One of the things I keep noticing time and again is that the majority of businesses in Kenya have web sites that are NOT mobile optimized. What this means in plain English is that mobile users are unable to effectively and efficiently access these web sites on their mobile devices, which obviously means lost business opportunities. Today, using an approach for web sites called “Responsive Web Design” or RWD for short it is possible to ensure that mobile and desktop Internet users don’t have this problem. Do bear in mind that according to the Communications Commission of Kenya (CCK) over 90% of Internet usage in Kenya is conducted via mobile devices. Leverage the Cloud – One quite often hears the term “cloud” being brandished about in the media and by techies. Its not really rocket science since lots of Internet services that you use such as Gmail do operate from the cloud. 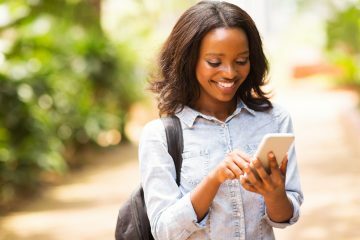 Indeed, smartphones allow one to access a whole bunch of cloud services on the go, meaning that you do not have to be strapped to your office desk all the time. In my experience, cloud services like DropBox or Google Drive are invaluable for any small business as you can store and work on documents, media, contacts, calendar, photos, etc in the cloud and never have to worry about your computer crashing or mobile device being stolen, which could have a devastating impact on any small business. 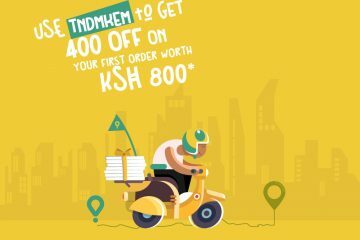 E-Commerce enable your sales channels – For the longest time, it was really hard to take advantage of the promise of e-commerce in Kenya as we had no local banks that could facilitate e-commerce transactions. This changed a few years ago and its now possible to sell your products and services online to customers in Kenya in beyond. I&M Bank and KCB have been offering e-commerce services to business customers of all sizes for a relatively low cost for the past few years. 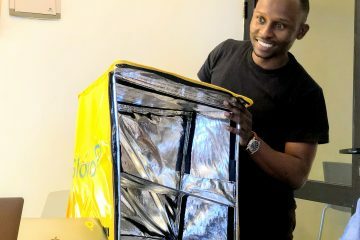 Another e-commerce service provider that lets you also use mobile money for e-commerce transactions is PesaPal which is a huge boon for any business as Kenya has close to 20 million mobile money subscribers to-date. The process of integrating e-commerce to your business has become relatively pain free process on this basis in Kenya. Digital advertising has the highest return on investment (RoI) – The rise of Google and Facebook has been largely driven from a commercial perspective due to their ability to enable businesses of all sizes to run highly targeted advertising at a very low cost with a high return on investment. This is very evident in Kenya given the number of local digital ads one encounters on Facebook as well as Google. This approach is only going to gather momentum given that traditional media is much more expensive and yields increasingly low returns based on current global trends. Indeed, one can use hyper-targeted digital ads to reach only the customers or prospects who would be most likely to buy your products or services. Biggest hassle has been with receiving funds online from clients. Barclays mail order system of clients sending faxed copies of credit cards is so 1950..
Glad Equity now is launched its partnership with Paypal today. (By the way i was there and saw you asking a question ). Hope this will go a long way in helping us recieve funds online. I hear they are planning to come up with a secure payment link where clients can pay online through their website. @Gerald great to hear from you. Indeed PayPal is going to be a massive boon for merchants in Kenya. The idea that you know who your dealing with on both ends of the transactions leads to more trust. As Efi from PayPal stated at today’s launch, customers are less likely to do an online transaction outside the PayPal ecosystem to the tune of 45% – thats massive. On next steps, I plan to engage Equity Bank to ensure that Developers and Digital Agencies get involved in knowing how to plugin web sites to the PayPal API for merchants – this is something we could certainly help you with. Although we did not meet today its excellent to hear how well your are already doing via digital marketing. The future belongs to he fast!